Four Kerry beaches have been named in TripAdvisor’s list of the top 10 Irish beaches. Banna Beach is No.1 beach in Ireland with Derrynane beach at No. 3, Inch Beach at No. 4 and Coumeenole at No. 6. TripAdvisor summarizes Banna as “Incredible beach, beautiful scenery”. 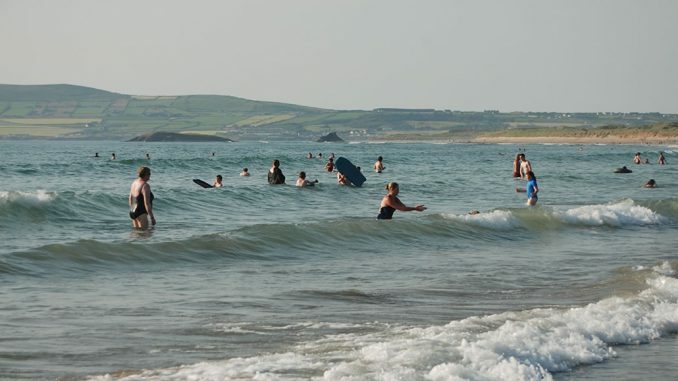 Banna has taken over from Inchydoney Beach in Cork as Top Irish Beach. Banna is located between Ardfert and Ballyheigue about 10km from Tralee. The beach has a large car park capable of accommodating a few hundred cars. During the Summer months the car park is regularly full. The beach itself is long, flat and sandy – great for walking, running or just sunbathing. The clear water is often choppy with large breakers and a good wind making it suitable for surfing, wind-surfing and kite-surfing and these are popular activities especially in Winter when the beach is not crowded and the conditions are particularly suitable. 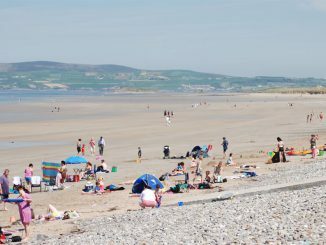 On sunny days during the summer the beach is packed with families enjoying the sunshine. Nearby – within a few hundred metres is the Banna Beach Self Catering Chalets and Leisure Complex which is a great family destination as it has an indoor pool and children’s Activity Centre. Great for when the weather is not good outside!